First Option Mortgage of Las Vegas provides Nevada mortgage services in many Nevada communities and cities throughout the state. Whether you live in a large metro area like Las Vegas, a subdivision in one of the suburban communities, or on a farm in the rural Nevada countryside, we have a Nevada mortgage that will suit your needs and we can tailor them to the requirements of Nevada law and regulations. Because we have local Las Vegas mortgage lenders that know your unique needs, we can serve you directly with a Nevada mortgage. 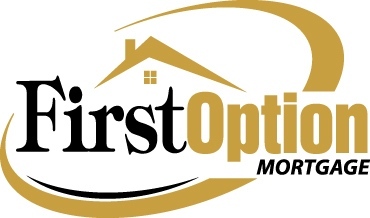 First Option loves being a part of this dynamic city and providing low mortgage rates to our Nevada clients. We enjoy all that Las Vegas has to offer, from the entertainment of the city to our growing family community. Internationally known as a resort and destination city for gambling, shopping, and fine dining, the Las Vegas metro is home to almost 2 million people. While Vegas is most known for its casinos and nightlife, it boasts a growing retirement and family community, an abundant Downtown Arts District, and several museums. There is something for everyone in our thriving city, from incredible cuisine to concerts to the ultimate pool party. One of our favorites is Cirque du Soleil, live on their home stage. When we are craving a breath of fresh air, we escape to Red Rock Canyon National Conservation Area and enjoy a family picnic and miles of hiking trails. The suburbs of Las Vegas have grown over the years, particularly following the recession. They have developed into their own unique communities. Henderson in particular is very popular for young families. It’s far enough away from the city to get the suburban vibe yet close enough to enjoy top entertainment. Our team tailors your mortgage to fit within Nevada legislation while getting you competitive rates. For your mortgage and beyond, we recognize your family’s needs. We can help you understand the Nevada housing landscape as well as what school your kids will attend. Our Las Vegas branch president is Phil Aurich. Phil has been a member of the First Option team for over 10 years and works with his team to provide clients with the lowest Las Vegas mortgage rates and a straightforward lending process.